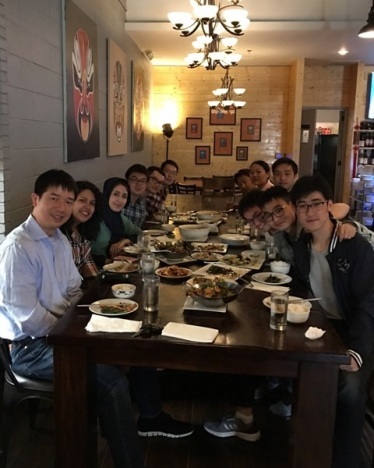 Copyright © 2019 Fu Group at the University of Michigan, Ann Arbor, MI 48109. All rights reserved. Supported by the SURE program, mechanical engineering undergraduate student Huijiao Guan is working in Dr. Fu's lab on an integrated microfluidic system for functional phenotyping of patient immune cells. 01/17/2018: Dr. Fu has been selected for the George J. Huebner, Jr. Research Excellence Award from the UM College of Engineering! Yen P. Kong, et al. Koh Meng Aw Yong, et al.